Get 20x the PC Optimum points this Sunday March 24th, and Monday, March 25th, at Shoppers Drug Mart Canada. This offer will be a loadable one that you will find in your app. Before you shop on these days, do make sure that the offer is actually in your app. Although it is advertised in the flyer there have been instances where the offer has not shown up in certain accounts, and therefore the points were not awarded. 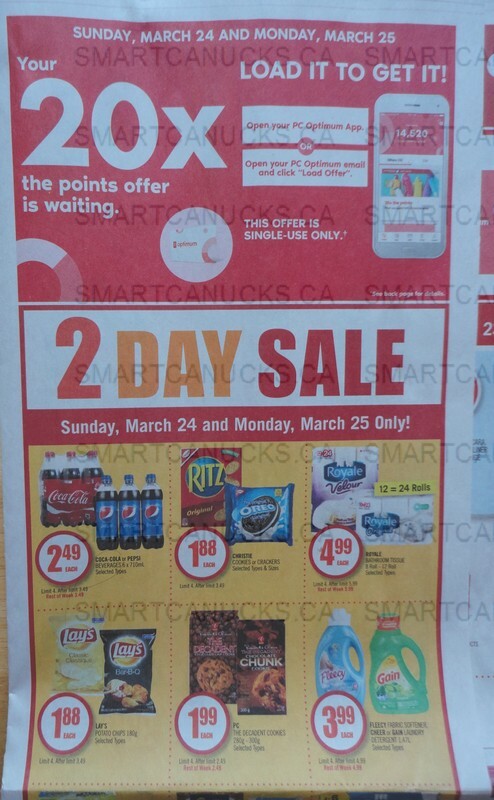 Click here to view the Shoppers Drug Mart flyer valid March 23rd – 28th.